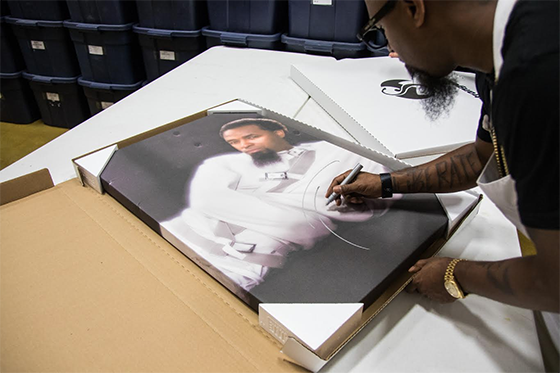 A Strange Music favorite makes its way onto a canvas for you to purchase..
Do not miss your chance to get a limited edition 24 x 36 canvas print of Tech N9ne’s Killer album cover. Each one is signed by Tech and, with only 100 of these available, they will surely go fast. Each canvas comes numbered and is accompanied by a Strange Music certificate of authenticity. Order your custom-made canvas print and hang a “Killer” on your wall.